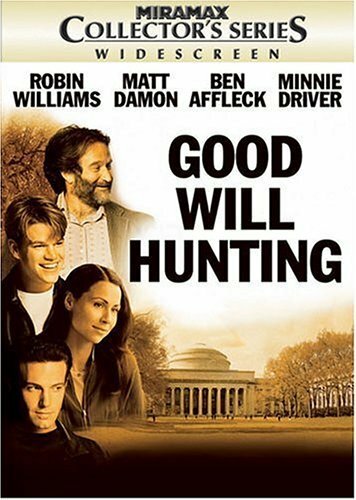 Robin Williams won the Oscar for Best Supporting Actor, and actors Matt Damon and Ben Affleck nabbed one for Best Original Screenplay, but the feel-good hit Good Will Hunting triumphs because of its gifted director, Gus Van Sant. The unconventional director (My Own Private Idaho, Drugstore Cowboy) saves a script marred by vanity and clunky character development by yanking soulful, touching performances out of his entire cast (amazingly, even one by Williams that's relatively schtick-free). Van Sant pulls off the equivalent of what George Cukor accomplished for women's melodrama in the '30s and '40s: He's crafted an intelligent, unabashedly emotional male weepie about men trying to find inner-wisdom.